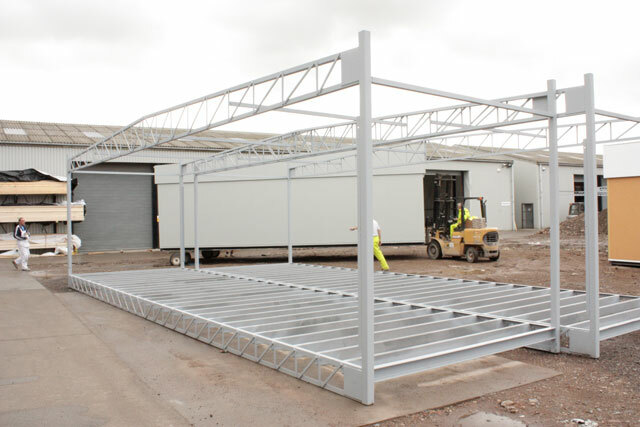 The Portable Building Shop can help you by advising how modular and portable buildings can be used to accommodate your particular temporary or semi-permanent accommodation requirement. We also have the more flexible modular buildings. These start at 6m x 3m modules and go up to 12m x 3m. These can be stacked up to three storeys high, and linked side to side, end to end, or side to end to form a variety of configurations. If you need to apply for planning permission, the Portable Building Shop can advise and if necessary assist you with this. Whatever your accommodation need The Portable Building Shop has probably already built and installed something similar elsewhere. We have been in the business of Portable, Re-locatable and Modular buildings for many years and have been involved in both large and small projects that include hospital administration blocks, wards and operating theatres, school classrooms, pre-school playgroups and nurseries as well as site project offices and welfare facilities or just the straight forward office. Not sure how much space you need? Not sure what type of building suits your requirement? 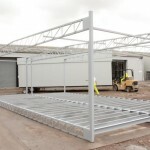 The Portable Building Shop are here to assist you – please contact us.